The Market behavior changes according to the customers buying power. Let’s Say early 90’s people started buying cars, Color Televisions , Music Systems which have been relatively new and were trending those days. Also, they have been the Status symbols across lot of families and communities. After 15 years the next phase is second market, where people started selling their old and unused items at discounted price. Which is being Still followed as the generation to generation there have been lot of changes in the Market Trend. Now the Current Trend is Renting. People stopped buying and interested in using them for a shorter time period. Why People are inclined towards Renting? Due to globalization the migration of people from one place to another place has become a common practice. And they are not sure how long would they be in the same place and job. They are comfortable in going for fully furnished apartments include TV, Refrigerator, Kitchen ware, Electronics, washing machine. 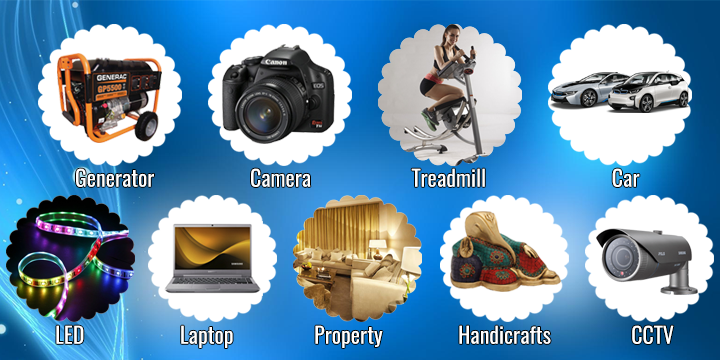 Why to purchase them when you are getting it as a combo for rent. Cars: Recent past all the popular car companies from Europe, Japan, USA have entered the Indian Market and they have flooded the market with lot of car models. Now people have come up with idea of renting any car for self driving. You can rent a Mercedes to Maruti Car at a cheaper price. They are also giving away lot of freebies such as fuel, Cash back voucher etc. Next time when you go to a new place just rent a Car. Bikes & Bi Cycles: Some of the popular destinations in India are Manali & Goa. Where you can rent a Bike or Bicycle , ride across the city and enjoy the scenic beauty with lot of comfort and ease. Servers: Companies spend lot of money in buying servers and computes for their local machines. But there are companies who will rent out the servers of IBM, DELL and other popular brands at an affordable price starting from Rs.700 a month. What else you can ask for. Party Supplies: Planned for a Party in your lawn area or a Small place, there are people who rent out amazing crockery and dinner sets for rent. Which is not new but people have started giving high end crockery. Text books: The books such as Engineering, Management & Computer courses are often very expensive and you cannot spend too much money buying each book. There are lot of shops which offer these books on rent a very Cheaper prices. Security Systems: Wanted to organize a Party?? And do you need security there are lot of companies which offers Metal Detectors and body scanners on rent. This entry was posted in Business Services, rent services, Uncategorized and tagged crockery on rent, rent a bike, rent a car, rent services, renting, security systems on rent, textbooks on rent on April 7, 2016 by rentsewa. Property Renting is more profitable than buying gold. Investing in gold or investing in real estate or Property. That is the question many individuals are asking themselves. Many organizations seem as if they are attempting to invest in gold as if it is going out of style. So the question remains, which is better for investing gold or real estate. Individuals can also do what is known as lease options which allows them to get in with no amount of money down. Investing in a rental property will provide a steady cash flow. This is much different from gold because gold is considered dead weight. An investment in real estate will provide a constant flow of cash coming in whereas gold is considered dead weight because it does not bring in a steady income. The price of gold was Rs. 26200 in March 2015 but the price today is Rs. 26300 there is hardly a .5% growth in the price. Whereas, the house in a decent location in Delhi was with a rent of Rs.15,000 last year; as per the agreement the rent has been increased by 8%, today It is Rs.16200.So, the variation of 8% is a God figure in comparison with Gold Price. The growing Population and migration of people from one part of India to other are the main reasons for increase in the demand for Property or house renting. Cities like Bangalore, Pune, Chennai and Kolkata have seen a rapid growth in the rental market; thanks to the Government initiatives in IT Industry creating Special Economic zones for more job opportunities. High demand has been observed in the mid-segment residential properties. Demand from the IT/ITeS sector employees kept upward pressure on rental. Along with Property Renting, agents and Property brokers are also offering furniture like Refrigerator, AC’s, Furniture, Kitchenware, home decors and other demanded items are also offering on Rent. This will be a New Milestone in the rental business. This entry was posted in Property, Uncategorized and tagged Gold Vs Property Investment, Property Renting on March 23, 2016 by rentsewa.